There had been much tactical experimentation undertaken by the British Army during the Somme battles in the latter half of 1916. In addition, contemporary Divisional, Corps and Army files held at the National Archives, Kew reveal the extent of GHQ’s urgency to learn ‘lessons’ at that time. As a result, the winter of 1916-17 saw the production of new military manuals that would change tactical level warfare in the BEF. One of them – SS143, Instructions for the Training of Platoons for Offensive Action 1917, laid the foundations for the way the infantry would fight until the end of the war. Emphasis was placed upon infantry being able to fight its way forward independently of artillery support as a battle developed. At its heart was the belief that the advantages of different weapon types could be brought to bear on the enemy as and when needed. Consequently, the formations, preparation and training practised for the Battle of Arras were to be different to those used during attacks the previous year. In the place of a single line of riflemen, SS143 promoted the self contained platoon comprising a small HQ and four sections of specialists. In simple terms, the attack was to be led forward by bomb and rifle sections, with the rifle grenade and Lewis gun sections following close behind. Upon contact with the enemy, the rifles and the bombers were to seek out the enemy flank and attack with fire, bayonet and bomb. The rifle grenadiers and Lewis gun team were to attempt to suppress the enemy, allowing the other sections to press home their attack. (a) The Offensive Spirit. All ranks must be taught that their aim and object is to come to close quarters with the enemy as quickly as possible so as to be able to use the bayonet. This must become a second nature. (b) Initiative. The matter of control by even Company leaders on the battlefield is now so difficult that the smaller formations i.e. platoon and section commanders must be trained to take the initiative, without waiting for orders. (c) Confidence in Weapons, necessitating a high standard of skill at arms. (d) Co-operation of Weapons is essential on the battlefield and the corollary of (c). (e) Discipline is most necessary at all times, and particularly on the battlefield. (f) Moral (sic) must be heightened by every possible means; confidence in leaders and weapons goes a long way towards it. (g) Esprit de Corps. True soldierly spirit must be built up in sections and platoons. Each section should consider itself the best section in the platoon, and each platoon the best in the battalion. Although the battles of Arras, Third Ypres and Cambrai failed to produce the desired breakthrough on the Western Front in 1917, the basic principles enshrined in SS143 were sound. 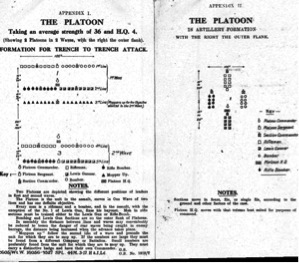 In conjunction with effective preparations, efficient staff work, and overwhelming artillery support, Instructions for the Training of Platoons for Offensive Action 1917 provided a simple tactical blueprint that would play a part in the BEF’s victories in 1918. 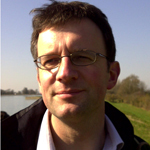 This entry was posted in The Battle of Arras and tagged 355 (Military science), 356 (Foot forces & warfare), 940 (General history of Europe), Blogs, UA (Armies: Organization - distribution - military situation), UD (Infantry). Bookmark the permalink.